It can be hard for local, professional pet sitters to compete with the large tech companies that are getting into pet sitting and dog walking. 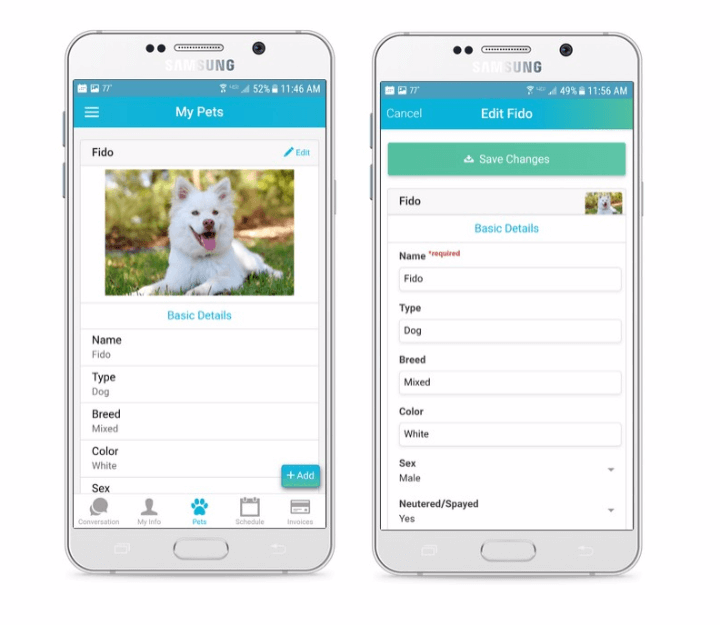 Time To Pet helps these local pet care companies compete with the big guys by offering features that make it super simple for their customers to request visits and make payments. These features are all found in the Time To Pet Client App! 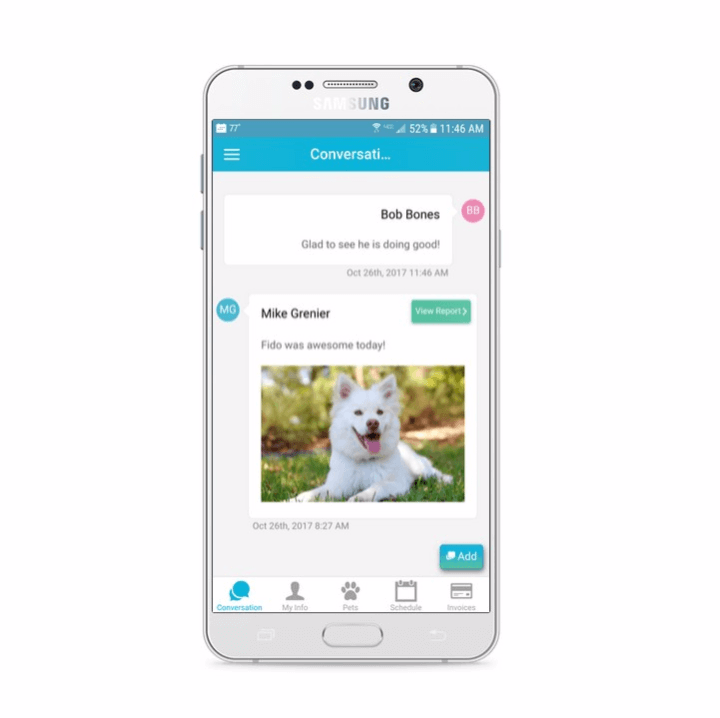 The Time To Pet App can be downloaded directly from the Apple App Store or from the Google Play Store. Your company provides an amazing service to your clients. Conversations makes it easy for your customers to see that amazing service in action! After finishing a visit - your team can send pictures, notes and even a visit report card to the client. Your client can read the update, see the great pictures and respond in real time! Messages can be sent directly to the Client App as a push notification or can be delivered as email and/or text message! Your customers have a lot of information to share with you. The doorman’s name, parking instructions, information for an emergency contact and much more. 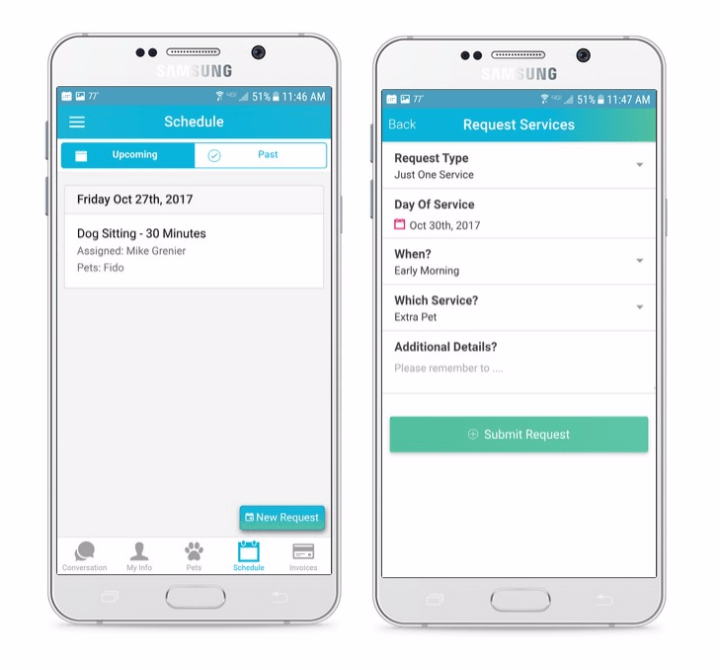 You can create your own custom fields in Time To Pet and clients can complete all of that information right from their Client App! Information on the human client isn’t the only data required. Pet information is just as important and Time To Pet allows you to create custom fields for pets too! Clients can update this information in real time from their App so you and your team have access to the most accurate info. The process of requesting services need to be easy for your customers. That’s why visits can be requested right from the Client App! Customers can also view all of their already scheduled visits and submit change requests from the App as well! When it comes time to make a payment - your client wants a simple, easy way to do so. They can view all of their open invoices from the App and make payments on one (or all) with just a couple clicks. 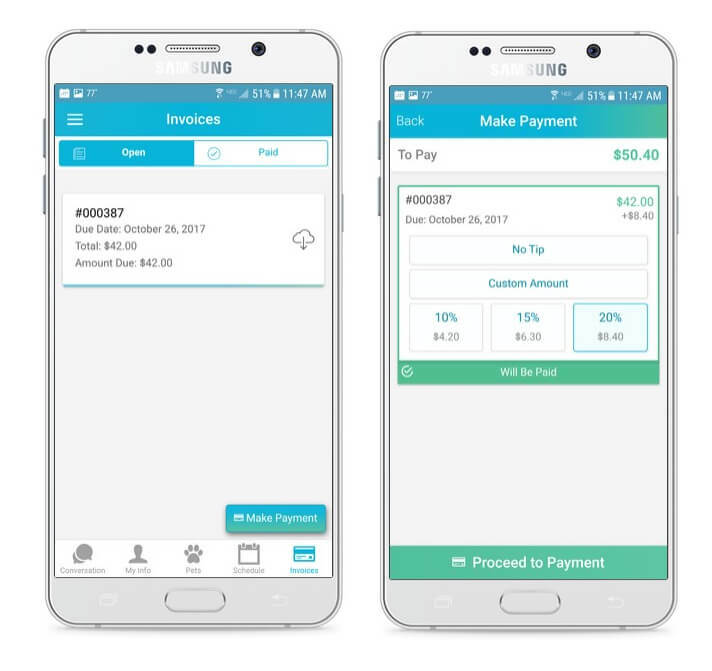 Clients can also leave a tip for a job well done and can manage their payment methods right from the App!